On November 2nd 2015, Bianca and I had the opportunity to visit QVC Studio Park and meet with a few people who work there. As mentioned in one of our previous blogs, “The Power of Networking”, Cynthia had connected us with the Vice President of Commerce Support and Inventory Management at QVC. Getting the chance to sit down and meet with a VP was a great opportunity, not only to learn more about QVC and where I would fit in best, but also to practice my interviewing skills. After meeting with the VP, I was escorted to meet with an HR representative who spoke with me more about the internship program and how I would go about applying for a position. Overall, this experience was extremely helpful for all opportunities to come in the future. When Ashley and I went for our interviews at QVC, it was a very exciting experience. As I sat in the waiting room, I was confident and excited to be introduced to the company. I have always wanted to work at QVC, and this was my opportunity to get my foot in the door. I first met with the Vice President of Commerce Support and Inventory Management. She asked me about what classes I had taken that were most beneficial to me, the topics on my resume, and what my goals were at QVC. She also shared with me what kind of departments were available for me to find a job in. Then she directed me to a representative from HR to further discuss my options and job opportunities. She also told me that when jobs are posted online, QVC wishes to fill the positions within the next couple of weeks; therefore, I cannot start applying for jobs until March/April because it will be closer to my graduation date and my availability. It was a great opportunity to speak with both QVC reps, and I look forward to applying for jobs come the spring time! The biggest takeaway Ashley and I had from this experience was that it is very important to ask questions. Both the VP and the HR rep told us QVC recruiters love applicants who ask questions about the company and the available positions. This was great advice that we can take with us for our future interviews at any company. On Wednesday, October 28th, 2015, the ESMS team took a field trip to the West Chester Food Cupboard. 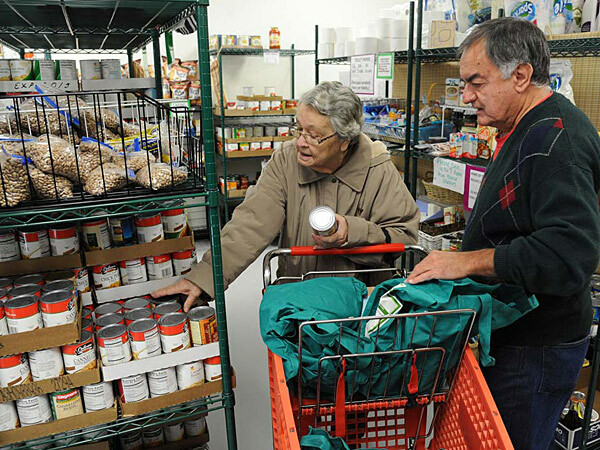 The Food Cupboard is a volunteer-run nonprofit that provides food and personal care items to families and individuals in West Chester every month. The Food Cupboard believes no one should go hungry! Once a month, West Chester residents in need can come receive non-perishable food items at no cost. The cupboard provides food to over 500 households every month. 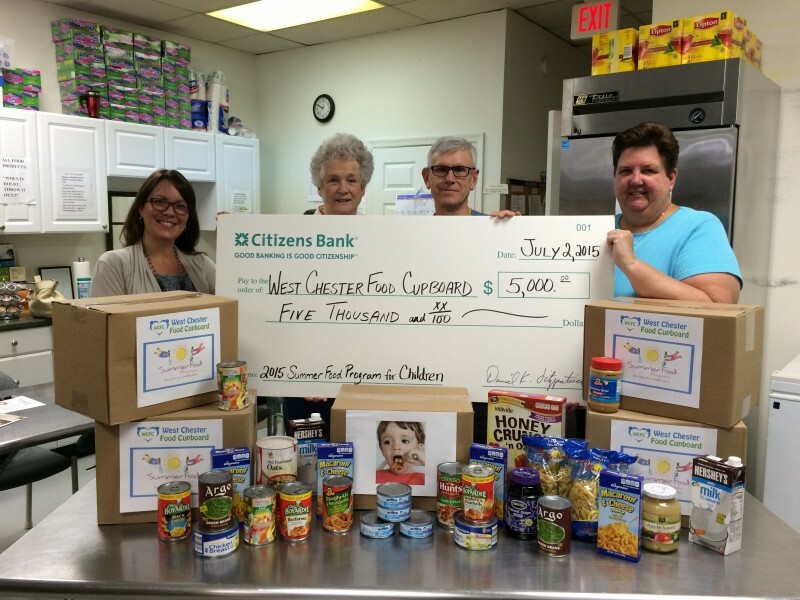 They receive donations from volunteers, food drives, grocery stores, and are in partnership with the Chester County Food Bank. They are staffed entirely by volunteers and operate solely on monetary and product donations. The ESMS team went on a tour of the organization, and we were shown the different food sections of the cupboard. There are signs above each of the food sections that explain the allotted amount of items each individual can take. The number of items each individual can take is based on how many people are in each household, and how much food the cupboard is available to give at that time. This visit really opened up our eyes, especially because West Chester is one of the wealthiest communities in Pennsylvania and the nation. Understanding the amount of people who are in need has caused us to think in a whole new way. We were humbled by this experience, and Bianca Spatola will be running a food drive through her honors society at West Chester University as a community service project. 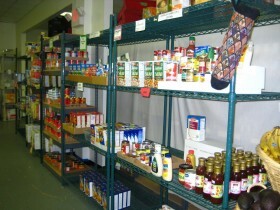 Click HERE to check out an article about the Food Cupboard, and be sure to visit their website!